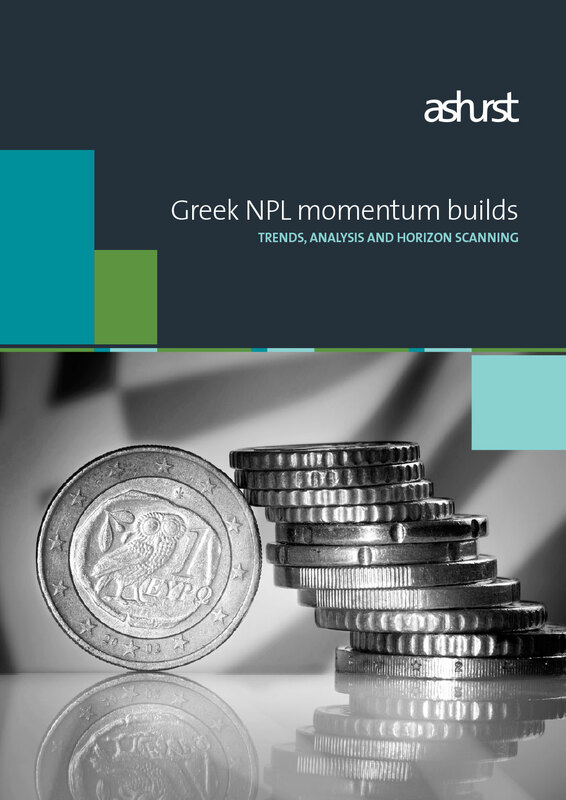 Debtwire is pleased to present Greek NPL momentum builds, published in partnership with Ashurst. Based on a survey of 50 senior-level executives, the report presents an overview of the Greek non-performing loans (NPL) market, analysing the drivers of the potential sellers and the motivation and priorities of the investor community. Greece firmly at the top of the European investor agenda. 84% of investor respondents ranked Greece in their top two Southern European target investment countries for the next 12 months. Furthermore, investors reported that they were very (55%) or moderately (35%) likely to consider Greek NPL transaction opportunities coming to the market in the next 12 months. It's not a matter of if - it's a matter of when. 75% of respondents from Greek banks state they believe it is very likely that their institution will bring an NPL book to market in the next 12 months and 25% report this is moderately likely. Remaining obstacles. The challenges identified by the Greek banks include, on a relatively consistent basis, (i) a mismatch of pricing expectations between sellers and investors, (ii) a lack of sufficient loss provisioning, (iii) the cumbersome and lengthy Greek legal enforcement framework and (iv) the potential criminal liability for bank officers approving consensual restructurings.